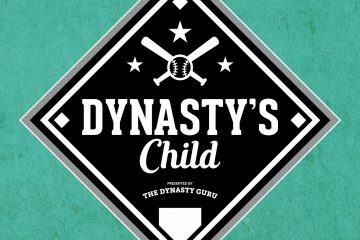 Continuing this week’s theme of last minute pick ups for keeper and dynasty leagues, Andy Barnes and I have been assigned NL starting pitchers. We agreed to use a common approach and look at one NL starter coming back from injury, one guy who has had (or could use) a change of scenery, a sleeper, and a prospect each. Andy’s piece will run later today. The Padres might have more starters who could qualify for this designation than any other team I have come across. I could have written about Cory Luebke, Clayton Richards, or Joe Wieland, but Kelly is the guy in whom I am most intrigued. This is partly because of his age – he’s less than a year older than Wieland, but four and six years younger than Luebke and Richard respectively. Kelly, a key part of the Padres deal with the Red Sox that sent Adrian Gonzalez to Boston, had been considered a top prospect before his breakthrough last year. He was Baseball America’s 43rd ranked prospect in 2013 and 73rd in 2012. In 2012, ESPN’s Keith Law ranked him 32 and followed it up with a ranking of 60 in 2013. In 2012, he pitched through three levels and seemed to take a step forward at AA and AAA. At both levels, he struck out more than 10 batters per nine innings pitched and posted a FIP of 2.52 and 1.12 at AA and AAA respectively. While he struggled when he reached San Diego, his FIP was a run and a half better than his ERA, he still struck out just over 8 per nine and was getting twice as many groundballs as flyballs. His injury this year in spring training was unfourtunately timed, as he would likely have made the Padres rotation to start the year or shortly after. What is not clear in the case for Kelly is whether there will be a rotation spot open for him in the spring and what the competition will be. 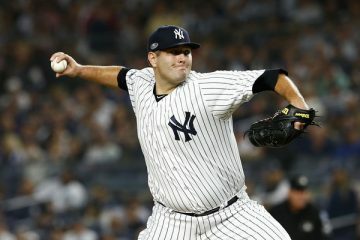 It is reasonable to assume that Ian Kennedy, Andrew Cashner, and Tyson Ross have three rotation spots barring something unforeseen, but I think Kelly will be the leader among a crowd, including Eric Stults, Robbie Erlin, Burch Smith, the aforementioned injured guys (Luebke, Wieland, and Richard), and maybe Keyvius Sampson, going after the remaining two spots. Luebke and Wieland have had repeated setbacks, while Richard’s shoulder injury is not promising, and the others just not likely to be able to match Kelly’s upside. I am stashing Kelly where I can on the hunch that he comes out ahead of those other guys and gets back on track to success in the majors. Edwin. Jackson. What is this sh*t, you say? I know. Someone on twitter described Edwin as, “the weirdest pitcher,” the other day and I agree completely, except that instead of weird I might have said, “infuriating,” or, “completely insane,” or something with a lot more swears. How sad is it that he is owner in 18% of ESPN leagues? Here is the thing about Jackson – he has never been the guy everyone seems to think he should be. He is not an ace. But, to some extent those expectations are about us, not him. What he is (or has been in the past) is an oft-overlooked mid-rotation glue guy. I got Jackson for $2 in a deep NL-only keeper league last year coming off the best season of his career. If I told you that as “awful” as Jackson has been this year, his K/9IP, BB/9IP, HR/9IP are all better than his career averages, would that be of interest? If I told you that his FIP is just about a full run better than his ERA, would that cause an eyebrow to go up? If I mentioned that his strand rate is a perfectly sustainable 67% and that his BABIP is a tad high at .330, would be coming around to my thinking that Jackson will be dirt cheap to get (if costs you anything at all) and that in 2014 he should be closer to the guy who was solid to above-average in 2011 and 2012? Jackson has three more years on his deal with the Cubs. They did not trade him at the deadline this year (probably because they would not have gotten a tube of jock itch cream for him around July 31) and if he hangs around long enough with this club he will suddenly be backed by a tremendous amount of talent on the offensive side of the ball. He is an enigma, wrapped in a riddle, wrapped in pin stripes, but I would put $1 on Edwin Jackson being useful next year to owners who can stomach the odd weird performance. So, what about Bettis or Pomeranz? They were both well thought of prospects prior to the 2012 season – Pomeranz was ranked #30 by Baseball America and #45 by ESPN; Bettis was #86 in Baseball America and #91 in ESPN’s rankings respectively. That season Bettis suffered a shoulder injury, while Pomeranz failed in the majors. And while they have yet to prove it, both guys may actually be better fits in Colorado than some of the incumbents because of a history of getting swings and misses, along with the grounders. In 2013 in 85.2 innings at AAA Colorado Springs, Pomeranz struck out 96 (10.14 K/9IP) and got 1.29 ground outs per fly out. At AA Tulsa, Bettis (apparently fully recovered), set down 68 on strikes in 63 innings, with 1.5 ground balls per fly ball. Pomeranz kept up the strikeouts in the majors (his 7.89 K/9IP would have led the staff over the season), but lost the zone struggling with his control. Bettis struggled to be in the zone as well, but his strikeout ability also did not materialize in the same way (although his 5.86 K/IP was still better than Chatwood or Chacin). Rockies’ pitchers are always a crapshoot and when I look at their current group I do not see much that I want to hold. I think that Pomeranz and Bettis have the upside to be successful in that environment. They will never post Kershaw-like sub-2 ERAs, but I think that both guys can keep the ball in the park while getting enough strikeouts to make owners willing to take a risk really happy. Skaggs is still a prospect, right? He is, but one of the more disappointing ones of 2013. He was #12 on both Baseball America and ESPN lists and his owners reasonably assumed he would pitch, well, in the majors around the halfway mark. Well, he did toss 38.7 innings in the majors; he was just pretty bad, posting a 5.12 ERA and 1.37 WHIP, although he did strike out 36. He was not a lot better at AAA Reno where his 4.59 ERA was more than a run and half higher then he posted at that level in 2012. Now, clearly passed by Archie Bradley as the DBacks top pitching prospect and being chased by the likes of David Holmberg, Skaggs goes into an off-season with a ton of uncertainty. There remains a lot to recommend Skaggs, however, and a bit like the Rockies’ guys above fantasy owners need to look past the disappointment of failure this year at both skills and opportunity. First, in a down year Skaggs still managed 9.26 K/9IP at AAA and 8.38 K/9IP in the majors. Second, and more importantly, the DBacks seem think they know what is wrong with him. Arizona GM Kevin Towers said in a recent interview that the DBacks noticed a mechanical flaw (Skaggs was staying too upright) that was costing him velocity among others things. (Interestingly, I asked Keith Law about this on twitter and he noted that he had written about the mechanical flaw in spring training. If we assume that they fix the flaw, then Skaggs should be in a position to take the step to the majors we expected this year. The Diamondbacks rotation may not have as many openings in the spring as some others, but Skaggs will be compete with Bradley and Randall Delgado for the fifth spot, while it is not clear whether all three of Cahill, McCarthy, and Miley will be back. If he does not earn a spot in the spring, Skaggs is still exactly the kind of prospect to stash for an injury sometime in 2014.